I’ve always had a bit of a thing for custard tarts, especially the ones in Lisbon with that crispy buttery pastry and sweet custard that just melts in your mouth. The ancient Pasteis de Belem, which has been baking with their secret recipe since 1837 is the place to go in Lisbon. A tiled temple, baking over 16,000 tarts a day, all made by hand in the bakery. You can even go and peak at the creamy delights being made. There is a considerable Portugese community in London, Stockwell being the hub and some of the best Portuguese pastries are to be found along Goldborne Road, W10. I couldn’t really find a recipe I liked so I’ve put together my own, inspired by a couple I was reading through online yesterday. 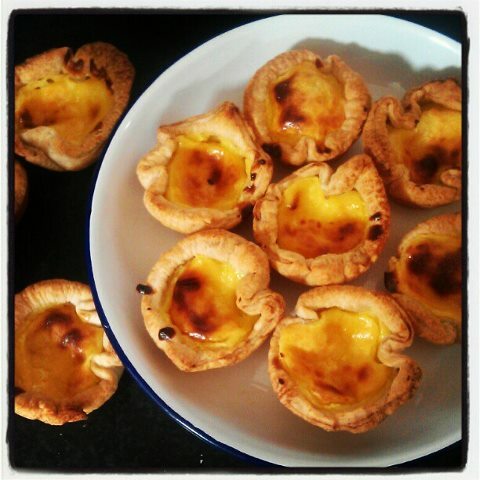 They aren’t quite up to Lisbon standards, largely on the pastry front, but went down well with Bacon who is Portuguese! What you’ll need to make 12 tarts to be proud of. 1. Preheat your oven to 200C, 400F, gas mark 6 and grease the muffin tins liberally with butter. 2. In a medium sized pan on a low heat, add the egg yolks, sugar and cornflour, and whisk gently to combine the ingredients until thick. 3. Add the vanilla, about a quarter of a teaspoon if using paste. Gradually add the milk and whisk continuously. Using a wooden spoon, continue to stir the custard until it comes to the boil. Remove from the heat and cover to prevent a skin forming. 4. 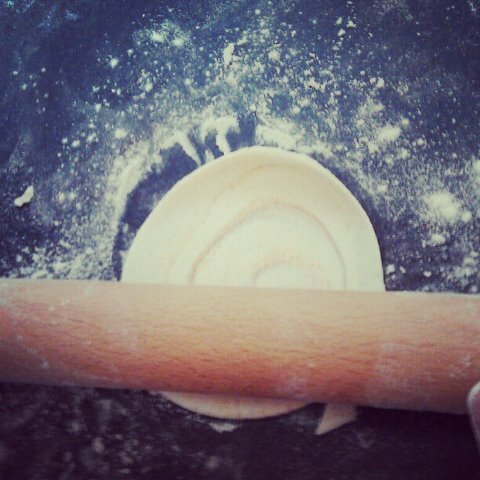 Dust a clean surface with a mixture of flour and icing sugar and roll out the pastry into a thin rectangle. 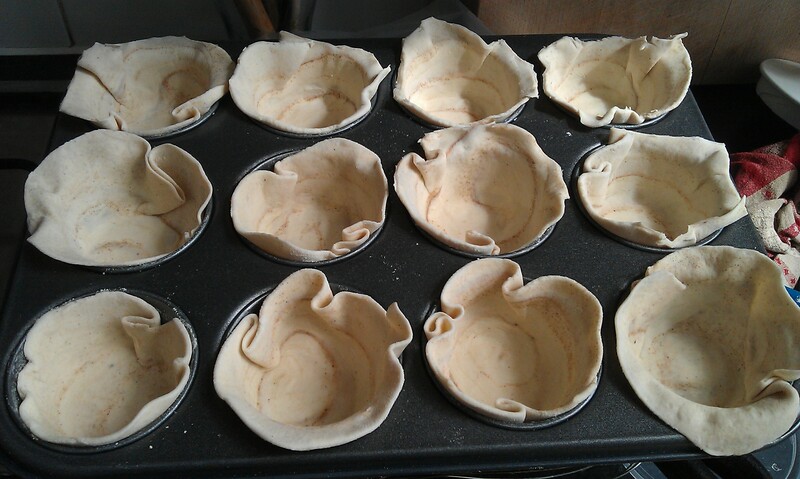 Cut the pastry into two and dust the bottom layer with the cinnamon and caster sugar mix. 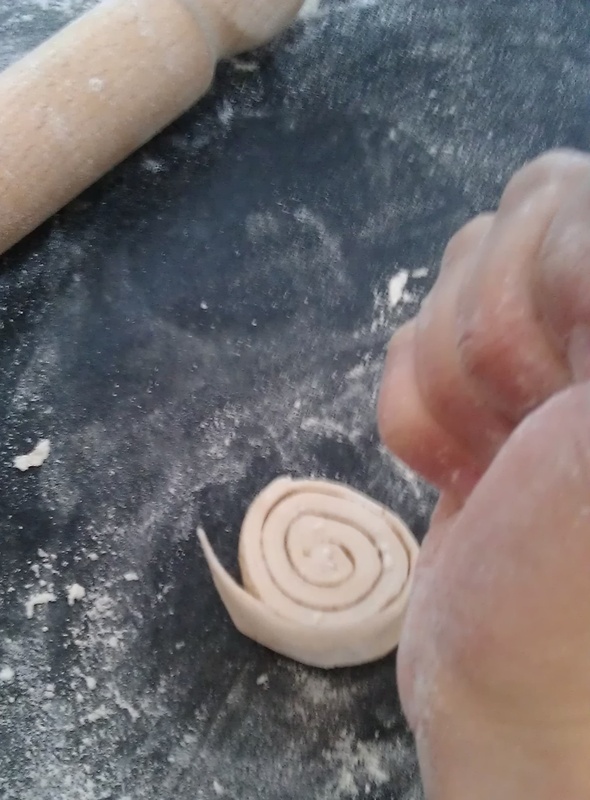 Place the second piece of pastry on top and roll tightly, cinnamon bun style. Cut the roll into twelve slices, about an inch each. 5. Lay each slice on the dusted surface and push into a circle. Roll out into 10cm discs, using a rolling pin or handy glass bottle. 6. Press each pastry disc into the muffin tray, rolled side up. Make sure there are no air bubbles. 7. Spoon in the now cooled custard into the twelve pastry cases, about two tbsp each and sprinkle with a touch of caster sugar. 8. Place the tray in the middle of the oven for about thirty minutes, turning the heat down to 180C after fifteen minutes and rotating the tray for an even bake. The custard should be set and golden brown, and the pastry crisp and brown. 9. Allow them to cool in the tin and serve with a sprinkle of cinnamon powder, and a strong milky coffee! These tarts look so delicious! I’ve got to try baking them soon! Thanks, I was pretty happy for my first go! Let me know how yours turn out.